Under section 10, a new Clause 50 has been inserted that provides for exemption of income from “specified services” chargeable to equalization levy wherein “specified service” shall have mean as given in section 161(i) of Chapter VIII of the Finance Act, 2016. A new clause (ib) has been inserted in section 40(a) that provides that the expenses incurred for “specified services” chargeable under this Chapter shall not be allowed as deduction in case assessee fails to deduct and deposit the equalisation levy with the government. Where it has been deducted in the subsequent year or has been deducted during the previous year but paid after the due date, it shall be allowed as deduction in the previous year in which it has been paid. A new Chapter VIII has been inserted in Finance Act, 2016 with respect to Equalisation levy. A one-time disclosure scheme i.e Income Declaration Scheme, 2016 for declaration of undisclosed income of any financial year upto 2015-16 was added in Finance Bill 2016. The same is to be brought w.e.f. June 1, 2016 and it is to remain open up to the date1 to be notified by the Central Government in the Official gazette. The Income Declaration Scheme, 2016 shall not be applicable in case where notices have been issued under section 153A or 153C. A new Chapter XII-EB i.e. ( Special Provisions relating to tax on accreted income of certain trusts and institutions) has been added to provide for levy of additional income- tax in case of conversion into, or merger with, any non-charitable form or on transfer of assets of a charitable organization on its dissolution to a non-charitable institution. For this, Section 115TD, 115TE and 115TF have been inserted. A new section 194LBC is inserted after Section 194LBB. Sub – section (1) provides that where any income is payable to an investor who is a resident in respect of an investment in a securitisation trust specified in clause (d) of the Explanation occurring after section 115TCA, then the person responsible for making the payment shall deduct tax at source at the rate of 20%, if the payee is an individual or a HUF; or 30% if payee is any other person. Sub – section (2) provides that where any income is payable to an investor a non- resident or a foreign company in respect of an investment in a securitisation trust specified in clause (d) of the Explanation occurring after section 115TCA, then the person responsible for making the payment shall deduct tax at source at the rates in force. Section 194K for tax deducted at source for income in respect of units is omitted. Section 194L for tax deducted at source for payment of compensation on acquisition of Capital Asset is omitted. Sub – section (1) and sub – section(2) is amended for deducting tax at source on payments in respect of distributed income referred to in section 115UA, being of the nature referred to in clause (23FC) of section 10 and in the nature referred to in sub – clause (a) of clause (23FC) of section 10 also. In order to rationalize the TDS regime in respect of payments made by the investment funds to its investors, it is proposed to amend Sec 194LBB to provide that the person responsible for making the payment to the investor shall deduct income-tax u/s 194LBB at the rate of 10% where the payee is a resident and at the rates in force where the payee is a non-resident. A proviso is inserted which provides that where the payee is a non-resident or a foreign company, no deduction shall be made in case any income is not chargeable to tax under the provisions of the Act. Section 197 is amended to include Section 194LBB, Section 194LBC in the list of sections for which a certificate for deduction of tax at lower rate or no deduction of tax can be obtained. 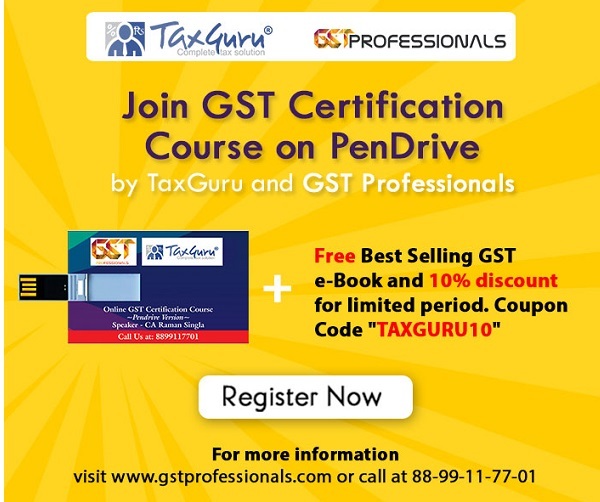 Sub – section (1A) and (1C) is amended for making the recipients of payments referred to in Sec 194-I also eligible for filing self-declaration in Form no 15G/15H for non- deduction of tax at source. In order to reduce compliance burden, Sec. 206AA(7) is amended to provide that the provisions of this section shall also not apply to a non-resident, not being a company, or to a foreign company, in respect of any other payment, other than interest on bonds, subject to such conditions as may be prescribed. Sub – section (1D) is amended to include consideration for sale of any goods (other than bullion or jewellery) or providing any service for the purpose of collecting tax from buyer. A new clause (iii) is inserted to sub – section (1D) which provides that tax should be collected at source for any goods, other than those referred to in clauses (i) and (ii), or any service if the amount exceeds two hundred thousand rupees. New sub – section (1E) and (1F) inserted after sub – section (1D). ii) Section 2(37A) is amended to now provide that “rate or rates in force” for purpose of deduction shall include section 194LBB and section 194LBC. In section 92CA (3A) it has been provided that if assessment proceedings are stayed by a court order or where a reference for exchange of information has been made by the competent authority and time-limit available to TPO is less than 60 days after excluding the time for which assessment was stayed or time taken for receipt of information, then such remaining period shall be extended to 60 days. Sub-section 7has been added to section 115O to provide that no tax on distributed profits shall be chargeable in respect of any amount declared, distributed or paid by the specified domestic company by way of dividend (whether interim or otherwise) to a business trust out of its current income on or after the specified date. Amended Section 115QA provide that the provision shall apply to any buy back of unlisted share undertaken by the company in accordance with the provisions of the law relating to the Companies and not necessarily restricted to Sec 77A of the Companies Act, 1956. In section 115TA sub-section (5) has been inserted that provides an exception with a prospective effect, to this section for income distributed by a securitization trust to its investors. Sec 124(3) is amended to specifically provide that cases where search is initiated under section 132 or books of accounts, other documents or any assets are requisitioned under section 132A, no person shall be entitled to call into question the jurisdiction of an Assessing Officer after the expiry of one month from the date on which he was served with a notice under sub-section (1) of section 153A or sub-section (2) of section 153C or after the completion of the assessment, whichever is earlier. i) To expedite the mechanism of assessment, 133C has been amended to provide legislative framework for processing of information and documents obtained from assessee and make the outcome available to the Assessing Officer for necessary action. ii) Section 147 defines situations where income chargeable to tax has escaped assessment can be reopened for assessment, as per the amendment- information received by the department u/s 133C can also be base for detection of cases of income escaping assessment. iii) Section 143(1)(a) is amended to expand scope of adjustment which can be made while processing return u/s 143(1)(a) based on data available to the Department in the form of audit report filed by the assessee, returns of earlier years of the assessee, 26AS statement, Form 16, and Form 16A. However, before making any such adjustments, an intimation shall be given to the assessee either in writing or through electronic mode requiring him to respond to such adjustments. The response received, if any, will be duly considered before making any adjustment. However, if no response is received within thirty days of issue of such intimation, the processing shall be carried out incorporating the adjustments. Sub – section (1) which provides that advance tax on current income to be calculated in the manner laid down in Sec. 209 is substituted. Clause (a) makes assessees other than those mentioned in clause (b) liable to pay advance tax while clause (b) makes an eligible assessee in respect of an eligible business referred to in section 44AD liable to pay advance tax. i) an order accepting or rejecting application of an assessee shall be passed by the concerned officers within a period of twelve months from the end of the month in which such application is received. ii) no order rejecting the application of the assessee under sections 220 / 273A/273AA shall be passed without giving the assessee an opportunity of being heard. iii) However, in respect of applications pending as on June 1, 2016, the order under said sections shall be passed on or before May 31, 2017. Consequential changes are made in Sec. 234C in line with advance tax provisions amended in point no. 12 above. ii) Interest on refund of self assessment tax- from date of filing return or payment of tax whichever is later. iii) For the purpose of determining the order of adjustment of payments received against the taxes due, the prepaid taxes i.e. the TDS, TCS and advance tax shall be adjusted first. i) Sub – section (3)(b) is amended which provides that Senior Vice-President of ITAT is precluded from appointed by Central Govt. as President. ii) Sub – section 4A is omitted. Sub-sections (2A) and (3A) of section 253 have been omitted in order to expedite the litigation process and omit filing of appeal by the Assessing Officer against the order of the Dispute Resolution Panel. To give effect to this, relevant amendments are made to sub-section (3A) and (4) of the section. The time limit for rectifying the order of appellate tribunal is now 6 months from the end of the month is which the order was passed. The monetary limit for disposing of the Taxpayer’s case by the Appellate Tribunal is now increased to fifty lakh rupees from fifteen lakh rupees. Section 273A and 273AA is amended to provide time limit for disposing applications made for immunity for penalty. Proposes that order under sub-section (4) for either accepting or rejecting the application in full or part shall be passed within a period of twelve months from the end of the month in which the application under the said sub- section is received by the Principal commissioner or the Commissioner. Sec. 281B is amended to provide that AO shall revoke provisional attachment of assets when assessee furnishes bank guarantee for an amount not less than fair market value of such provisionally attached property or for an amount sufficient to protect the interest of Revenue. An amendment was proposed in Section 282A(1) so as to provide that notices and documents required to be issued by income-tax authority under the Act shall be issued by such authority either in paper form or in electronic form in accordance with such procedure as may be prescribed. Sec 132A was added to provide that the provisions of chapter VII shall also not apply to taxable commodities transactions entered into by any person on a recognized association located in unit of IFSC where the consideration for such transaction is paid or payable in foreign currency, and thus this transaction was exempted from CTT w.e.f June 1st 2016. Launched in 2011, B2B portal – Taxsutra.com is a trusted online resource for corporate tax directors, policymakers and practioners. Taxsutra’s instant news alerts & incisive analysis on both domestic and international tax, coupled with unique features like tax ring, Taxsutra Insight, Litigation Tracker, Taxsutra TV and blogs make it a “must-have” for every tax professional.